Last year our family participated in Mormon.org's #LightTheWorld initiative and it was a lot of fun. One of the things we did last year was take hats to our local children's hospital. The kids really enjoyed it and as a result we were really excited to see that they were going to be doing it again this year. Every day until Christmas on mormon.org you can find a scripture and video to go along with a service theme for the day. We like to read the scripture and watch the video in the morning before everyone leaves for school and work. It has been fun to watch the kids get excited about doing things for others. One of the days the theme was Honor your Mother and Father and our two oldest kids made us breakfast all on their own. Our youngest daughter made our bed for us and let me know that she was "lighting the world". Another day our oldest son went out to scrape the windows of his dad's car before he went to work. When my husband went outside Eliza started yelling "Look daddy, he's lighting the world". We decided that we wanted to do a big family service project. 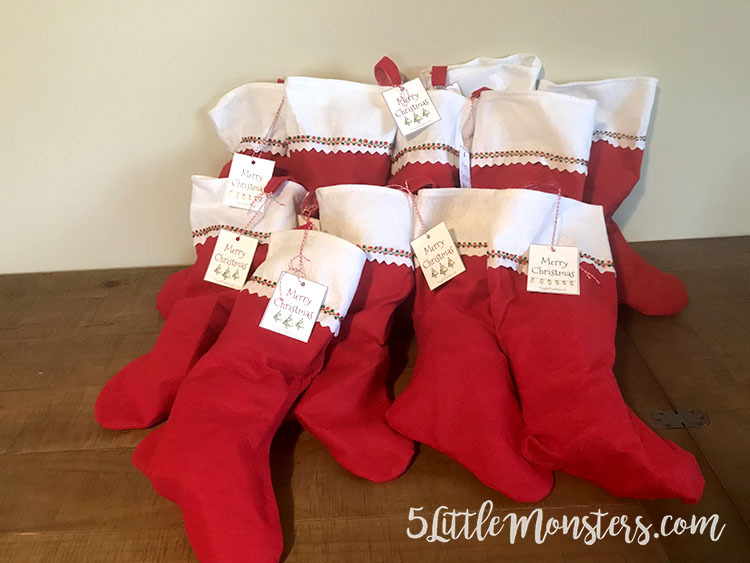 We got together with my siblings, their spouses and kids, and we put filled stockings that we could give to people that we felt could use them. 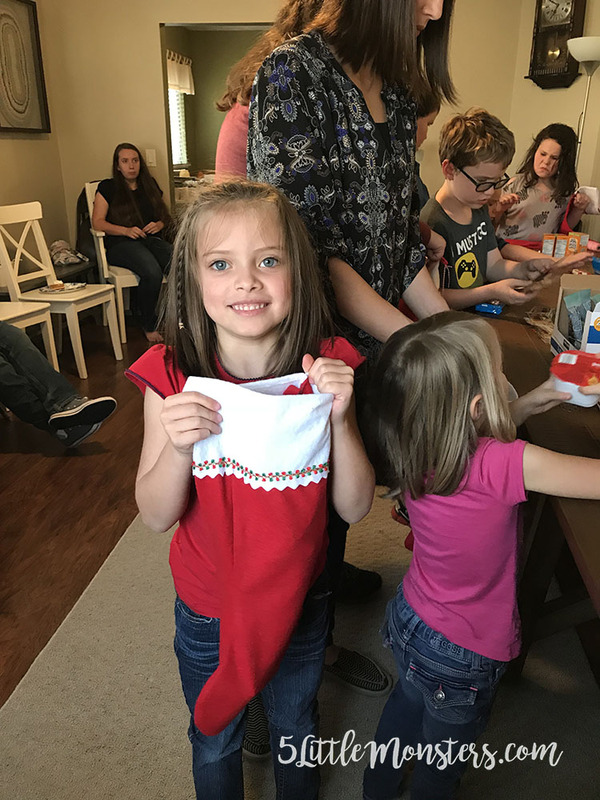 We filled a total of 12 stockings and each family was able to take home two finished stockings. We thought they would be great to give to missionaries, a neighbor, or even just someone you see along the road who looks like they could use it. 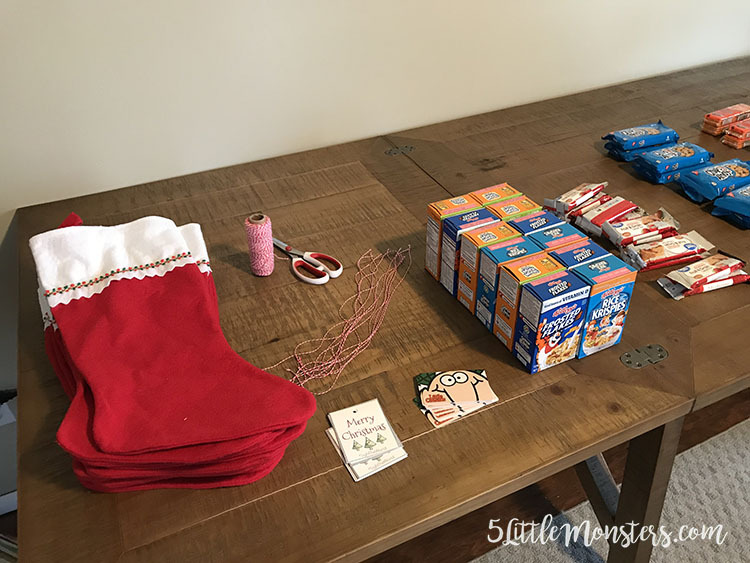 We laid everything out on a table and the kids each took a stocking and filled it with one or two of each of the things on the table. 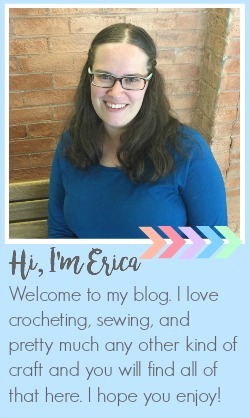 It was a pretty easy project to put together and I know that my kids really enjoyed it. They were really excited to find someone to give the stockings to. 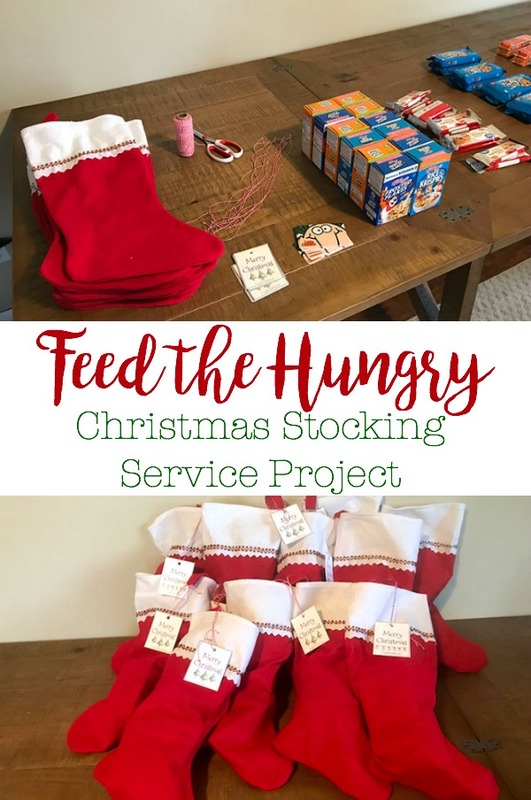 You can watch the video below to see our family service project activity.